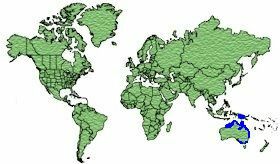 North Australia and South New Guinea. 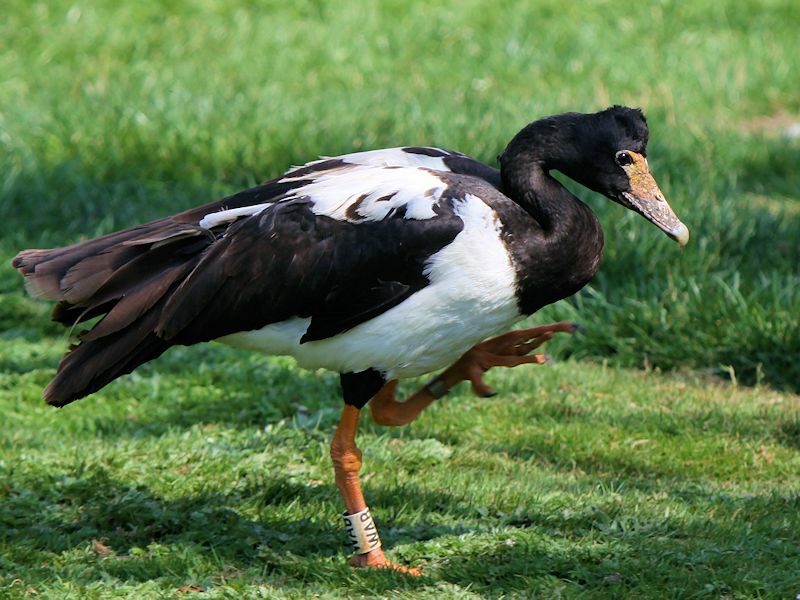 The male has a Black head and neck, featherless red skin on its face, an Orange bill with a Red knob, Black and White wings, White flanks and belly with a Black tail. 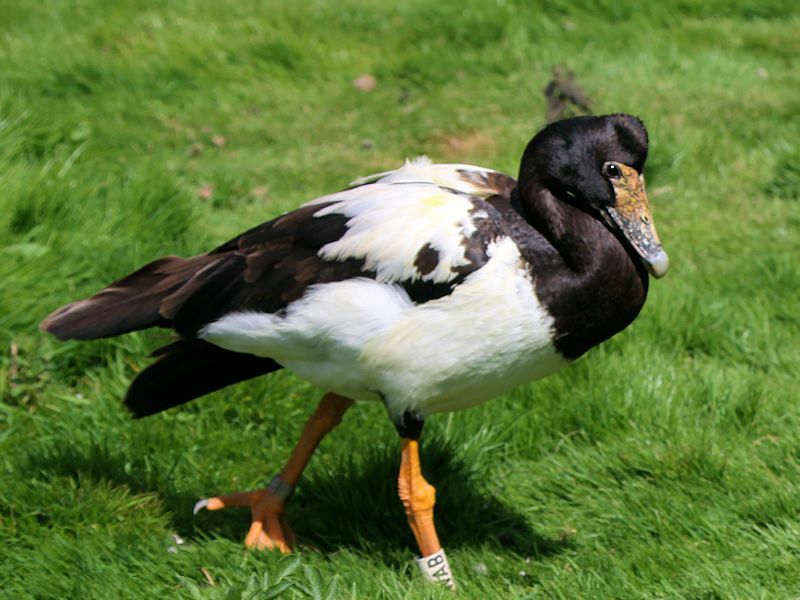 The legs and feet are bright Orange. 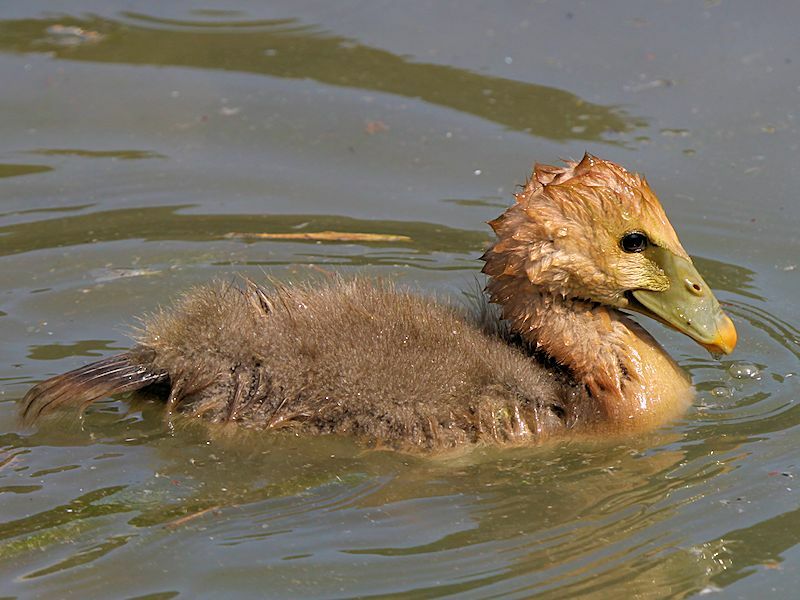 Similar to the male but slightly smaller. 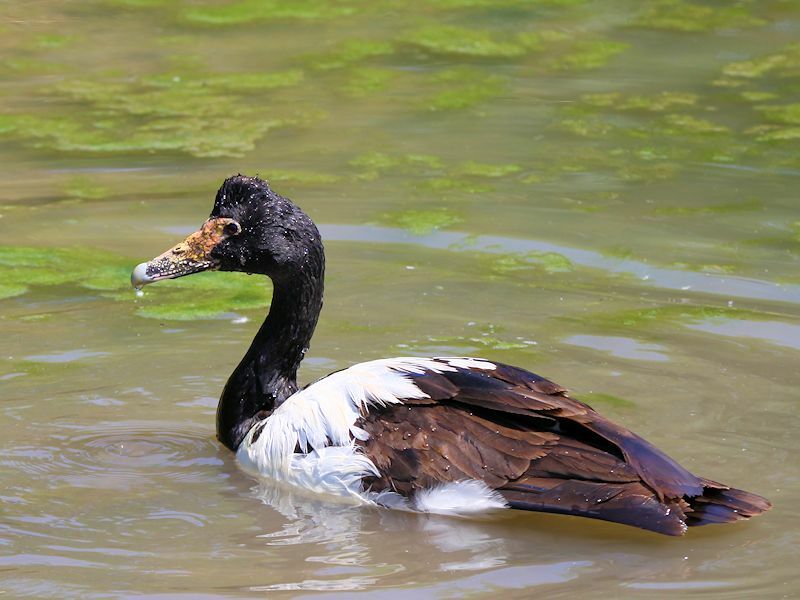 Wetlands, Floodplains, Swamps and Coastal Waters. 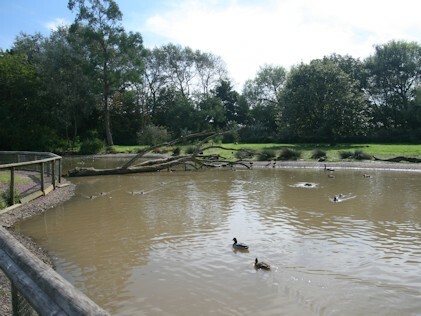 Aquatic Plants, Grasses, Seeds, Crops, Cereal, Rice and small Invertebrates. 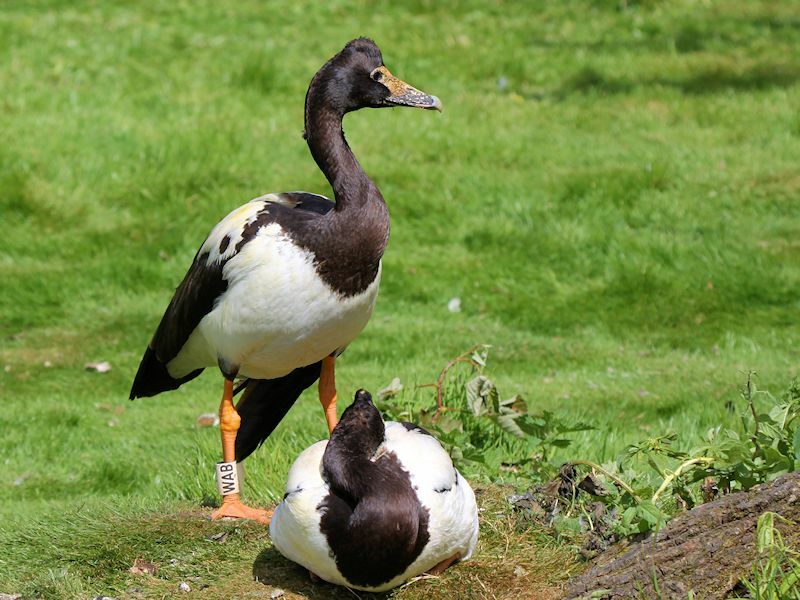 The nest is built by the male on a floating platform of reeds or leaves and twigs, in a concealed position close to wetlands. 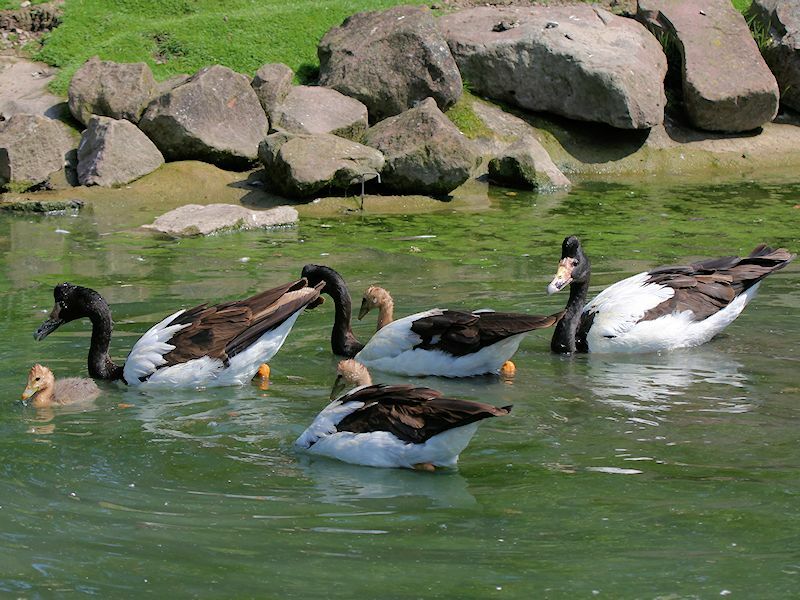 Quantity: 5 to 14 (average 8). 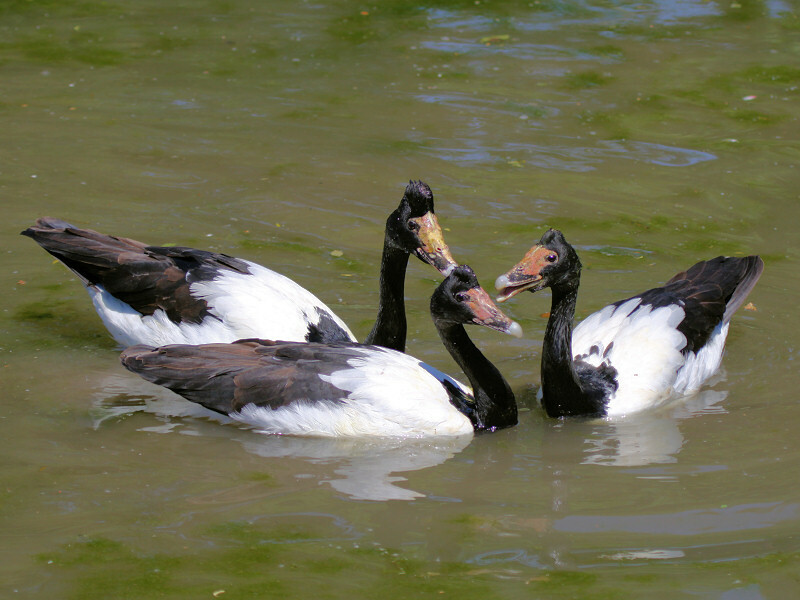 The Magpie Goose is found in the coastal areas of Northern Australia and savannah in Southern New Guinea. 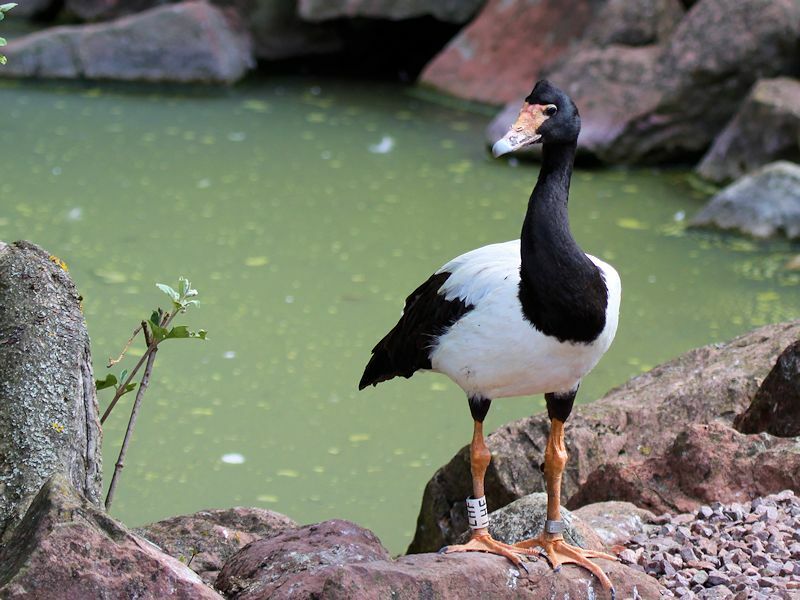 The Magpie Goose differs from other waterfowl as it has unwebbed long toes so that it can perch in trees, its legs are also unusually long so that they extend beyond the tail in flight. 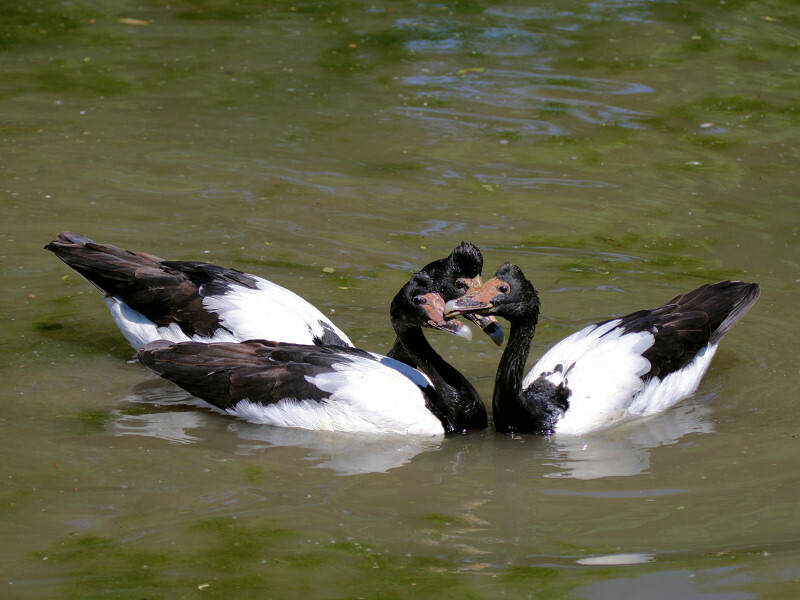 During the breeding season the male has two female mates. 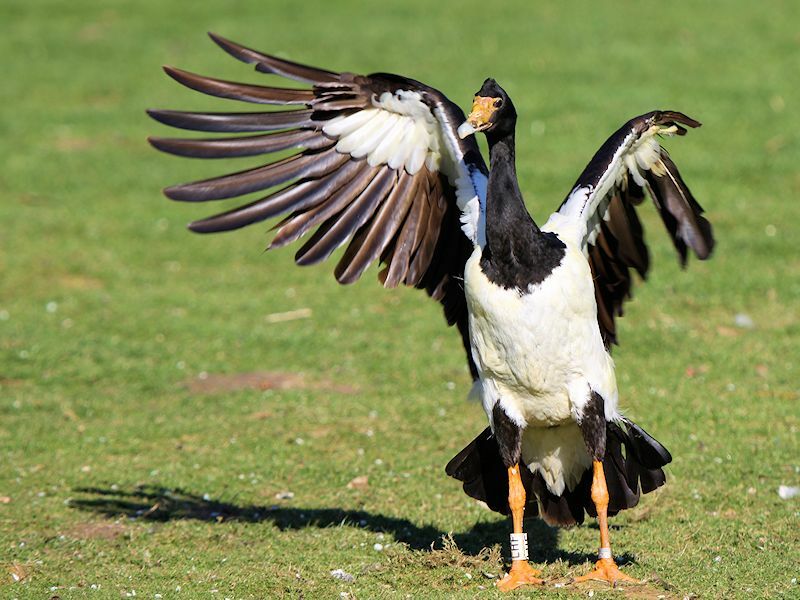 During the mid-20th century the Southern population of Magpie Goose was virtually erradicated by hunting amd habitat destruction. 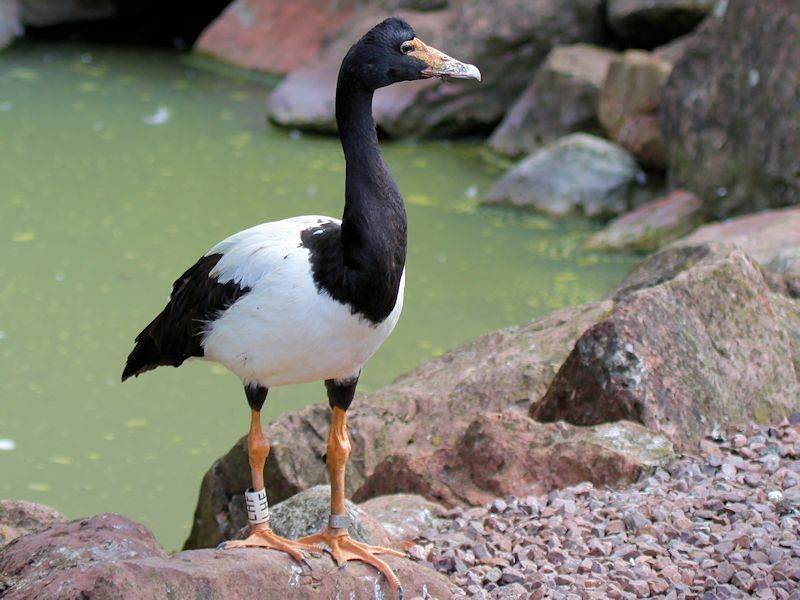 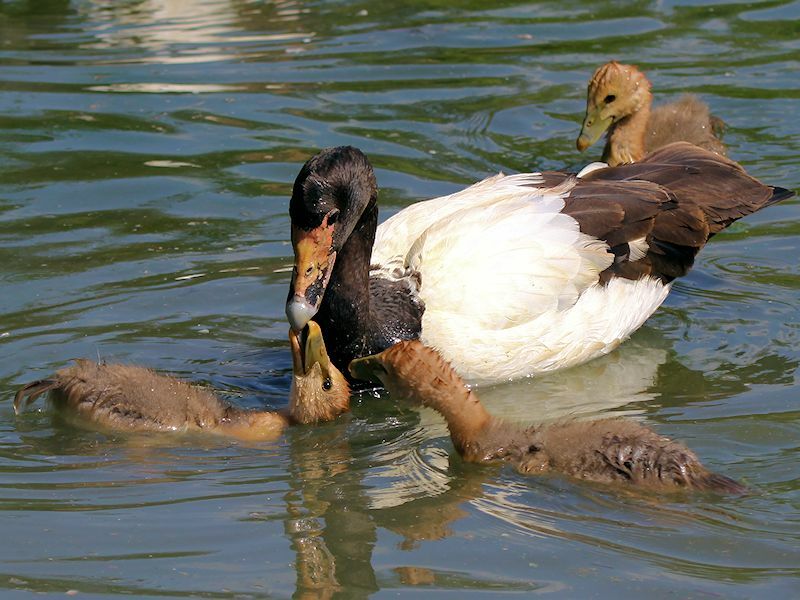 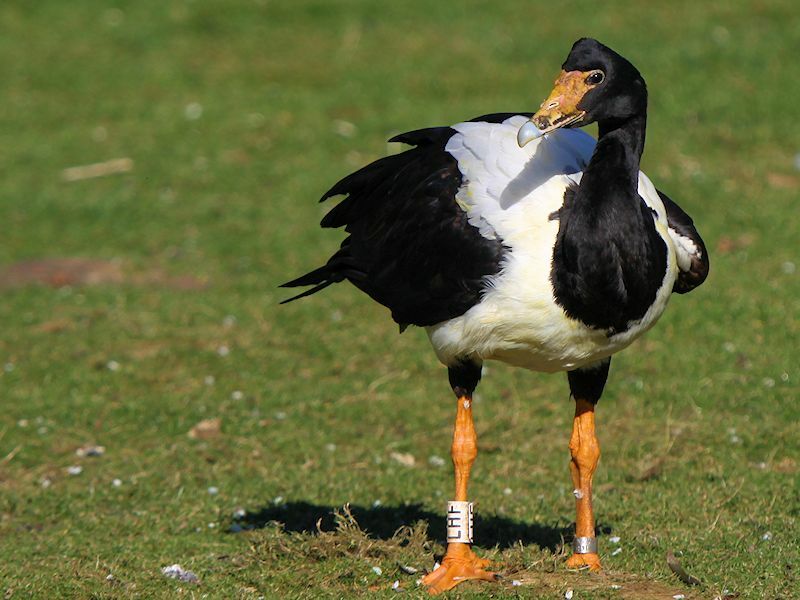 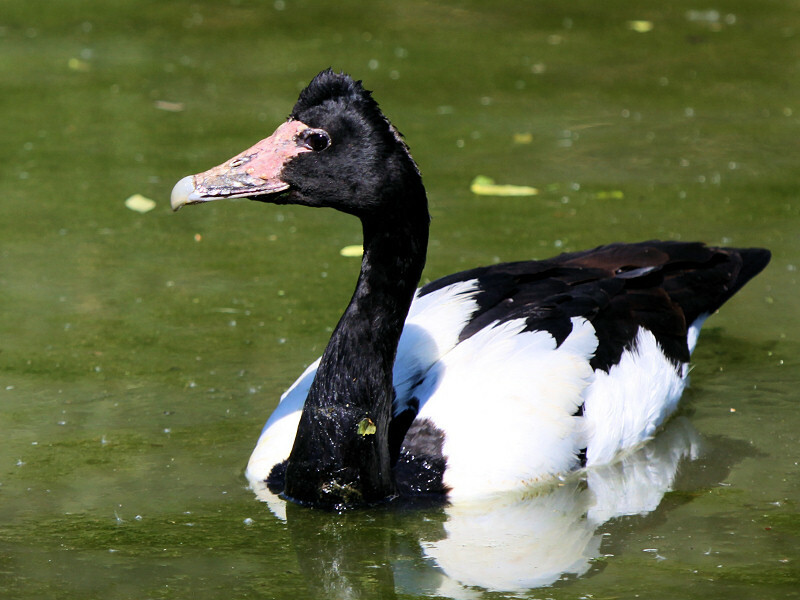 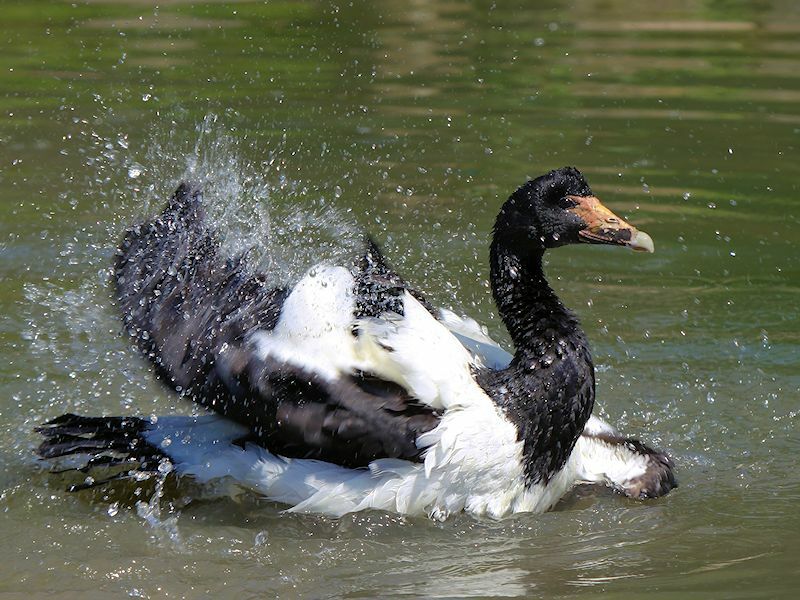 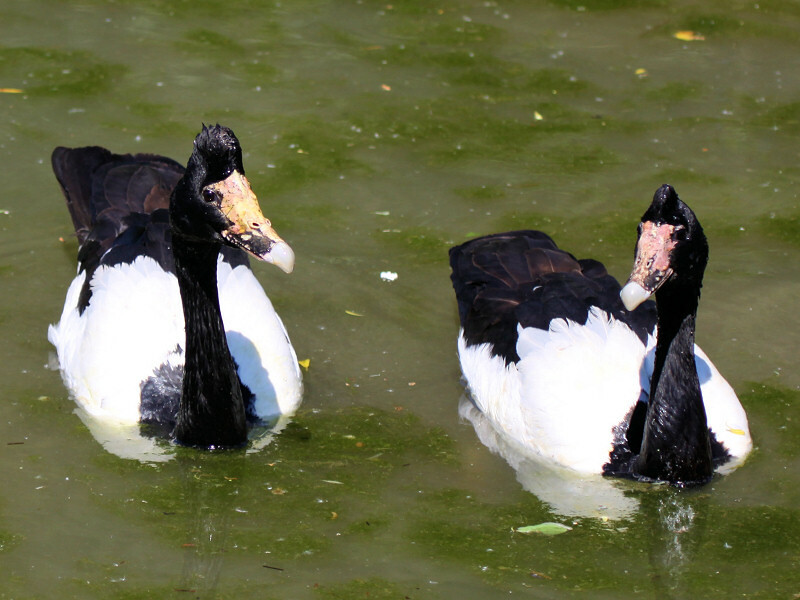 However, there have been efforts to reintroduce the Magpie Goose to the South and it is now classed as Least Concern.